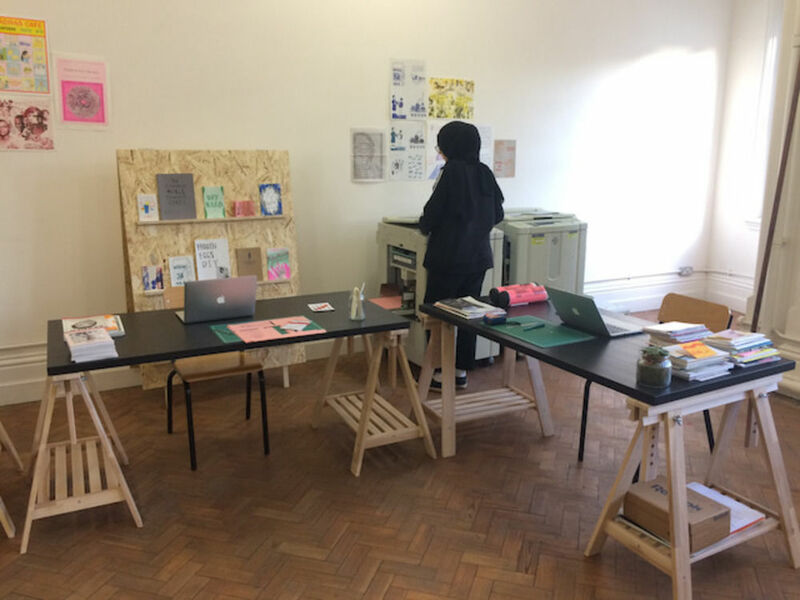 Cheap, cheerful and accessible—it's little wonder that risograph printing has seen such a rise in popularity in recent years, with new print studios popping up across the country at a rate of knots. 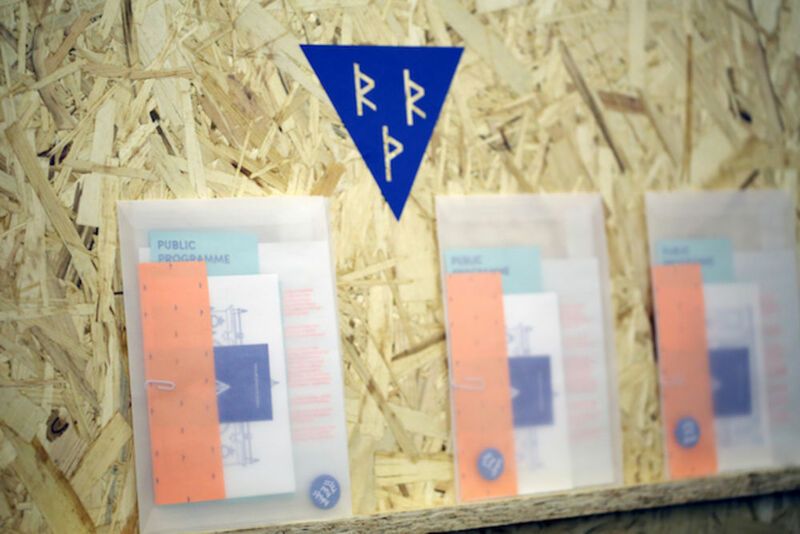 Although by now we're quite accustomed to the sight of a riso print or ten gracing the portfolio of many a young graduate, the printing system was traditionally used by schools, churches, campaigners and community groups as an economical means of printing brochures, flyers and other ephemera. Where did you all meet, and how did OOMK come to be? Sofia and I met at the London Zine Symposium and continued to see each other quite regularly at small press fairs and events. We both had a background in visual communication and were very absorbed in zine culture at the time. We recognised an absence of particular voices in feminist and creative discourses within this, and this quite naturally lead us to produce a publication, One of My Kind (OOMK), addressing these gaps. It was a lot of fun finding work from women of colour (mainly our friends) and building a visual space for this. At our launch of OOMK Issue One, we met Heiba, who joined shortly after. We produce the magazine biannually and work on design, editing and publishing projects collectively and independently throughout the year. 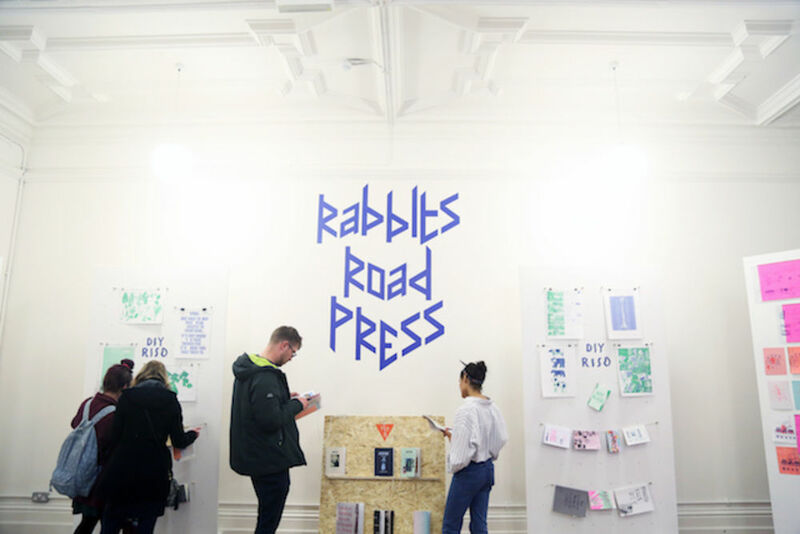 How did the idea for Rabbits Road Press come about? CREATE London run a residency programme in a large converted library for a new artist or group every 18 months. They approached us to reimagine the space to both support our practice and the community. A printed press felt like the logical (and most exciting) response, as both our collective and the local community could mutually benefit and experiment this way. 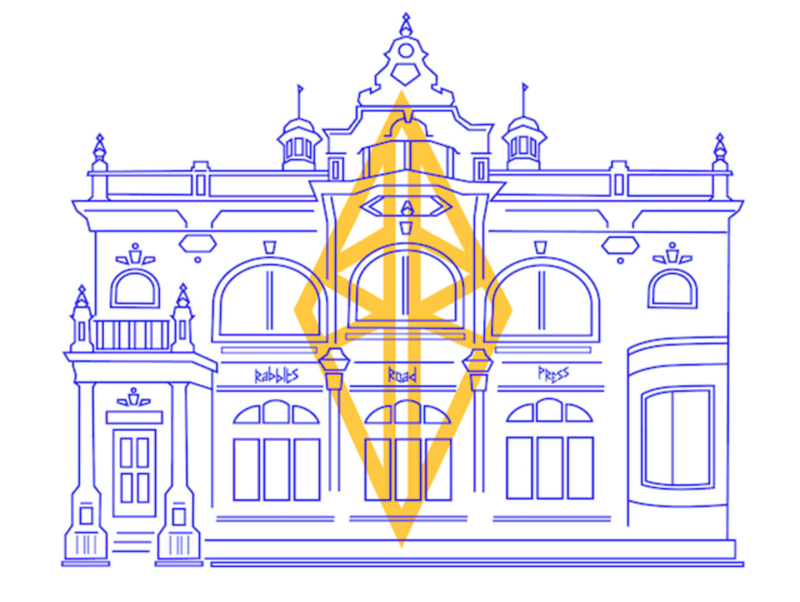 We intend to populate the former library space with new self-published works from the community under our support. Arts Council England is currently funding the project. How did you go about getting the project off the ground? CREATE London supported us in acquiring equipment. I was trained in RISO printing at HATO Press a few years ago, and got a good idea of the workings of a press from this. After establishing the physical space, we built on existing connections to local groups, inviting locals to open access Tuesdays. We have also been engaging with universities and galleries to deliver print and publishing workshops and training. It’s got off to a really strong start. The press is based in the Old Manor Park Library—how did you go about choosing this venue, and what else goes on there? We have a strong interest in libraries—our previous residency with Book Works was based around reimagining the library, and through this research we discovered the projects at Old Manor Park. We were really lucky to be invited to move it by CREATE as it is so fitting to our areas of inquiry. The rest of the building is owned by BOW Arts with private studios for artists and designers. Any tips you can offer to others keen on setting up a similar venture? I think it is necessary, for your own knowledge and confidence, to visit other studios and see how things are run. 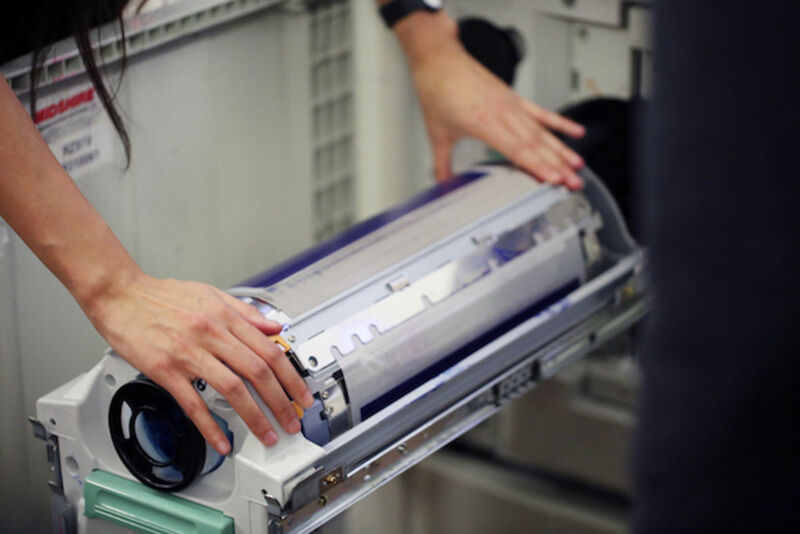 We have been doing a lot of learning on the job, but so many corners were cut thanks to the experience and advice we gained elsewhere—from asking other studios and spending time working with RISO machines before endeavouring to start out. Ask a lot of questions to avoid any expensive mistakes, and if you are investing in equipment, again do a lot of research! We printed and designed our own welcome packs, which was a lot of fun. Each one has so many elements, and it took a little assembly line to get it all together. We have been running for less than a month and have already seen a lot of great imagery coming through the induction sessions. We are currently working on a project with young people from the Showroom gallery, and think this will be our first external publication that we are excited to share. What are your ambitions for the future of the project? We intend to continue engaging with more local groups—English as a foreign language groups, young artists groups and so on. We hope to build a library of work here and to leave behind a community who are confident in producing there own work and developing a self publishing community that will continue on. We also hope to develop our own practice, designing and producing printed matter for galleries and art institutions on a larger scale.